Maestitia a écrit: Je sais bien mais dans ce cas pourquoi avoir traduit celui-ci plutôt qu'un autre? Je suis de l'avis de Kairos, résumé en français mais titre en anglais. Quant à savoir pourquoi ? Je ne sais pas, faut dire que depuis quelque mois ce qu'ils font chez GW n'a plus trop de sens. Ils sont vraiment à la rue, ce qui est bien dommage pour nous. The Gildar Rift is a new novel in the Space Marines Battles series. This series is dedicated to retelling the most famous front-line battles of the Adeptus Astartes. I love the cover, look at that bad boy. When I grow up I wanted to be an evil chaos marine with a huge power claw. Not sure how I would write my reviews with that thing though. Anyway, The Gildar Rift seemed like the perfect way to make my trip home to Sweden pass quicker. Cannot go wrong with space marines beating the crap out of each other. Thank you Black Library for providing me with this review copy. The Silver Skulls have taken it upon themselves to patrol the Gildar Rift to repel the ever present xeno threat. Personally, I suspect it is because a lot of promethium is produced there, and they want to make sure they have enough for their flamers. The Silver Skulls differ from the other chapters by being very superstitious. Powerful psykers, Prognosticators, are consulted before important decisions to try and divine the outcome. Captain Daerys Arrun is in charge of the fleet assigned to protecting the Gildar Drift, and has moved from his flagship to the Dread Argent to oversee a bold and controversial experiment. The Dread Argent might not be a flagship, but it is still a formidable engine of destruction, which is why when they receive a distress call from The Wolf of Fenris Daerys Arrun feels confident they can assist the Space Wolves. A small team is assembled to board the friendly spaceship to determine what is going on, but it's assumed the situation is hostile. Nothing can prepare them for what they find on board. The arch-enemy have launched an attack on the system with the Wolf of Fenris being the bait which springs the trap. The Silver Skulls find themselves in dire straits both in space and down on the planet. Every move they make has been foreseen by the insane, but brilliant traitor, Huron Blackheart. Fury grips Daerys Arrun as he watches his brothers fall to the traitorous Red Corsairs. The Silver Skulls ranks are thin enough already and they cannot afford to lose more, but more importantly they cannot let the system fall to the arch enemy. Before things can get better they have to become worse, is something all readers will be familiar with. Being able to spot the upcoming inevitable disaster is something of a pet peeve of mine. Sarah Cawkwell certainly delivers on disasters, but it does feel forced, accompanied by explanations of why the space marines are helpless to act. Like I said this is something I like ranting about so your mileage may wary. Sarah Cawkwell does a very good job in raising the stakes and building up suspense. I do share captain Daerys Arrun's pain every time one of his men die. The Gildar Rift is, from start to finish, an intense read with a lot of fighting. I quite liked the ship to ship battles as their immobility makes those battles very different from ground fighting. It pretty much boils down to how much punishment your ship can take, like Rocky Balboa! It might sound boring but it's actually pretty exciting, and you can feel the ship tremble from the impact of the enemy's missiles. Down on the planet the fighting is more brutal and personal. The Silver Skulls are facing a horde of cultists and Red Corsairs. They literally tear into the cultists with little effort; they are not much more than a nuisance, but can sometimes be a fatal distraction from the real threat. Sarah Cawkwell does a good job describing the mayhem and it feels convincing with a quick pace. The characters in The Gildar Rift are both good and bad. They definitely feel like proper space marines, with suitable dialog and a gruff attitude. I often find space marines to be flat and lacking in personality, and unfortunately this is also the case here. It's probably not easy making one fanatic killing machine much different from others cut from the same cloth. Sarah Cawkwell also falls into the trap of telling us how intelligent and tactically brilliant captain Daerys Arrun is, but then his actions and decisions fail to live up to his reputation. I'm always reminded of David Weber's Honour Harrington when it happens. The Gildar Drift was a solid delivery from Sarah Cawkwell, packed full of the right ingredients, and kept me entertained during my flight. The secret experiment made things interesting and felt like a fresh idea, which might have ramifications for other books in the Warhammer 40k universe. If, like me, you expect a grim read, non stop action, and religious zealots you have found the right book. I think it's fair to say The Gildar Rift felt like it was setting the stage for a second novel. The Silver Skulls suffer from a bloodied nose, and I would like to see them take the war to the Red Corsairs, giving them the initiative and the first strike. If your life is given in service to the Emperor, your death shall not be in vain. The Gildar Rift weighs in at 416 pages and is published by the Black Library. J'ai posé la question à Sarah Cawkwell en personne hier et elle m'a confirmé, d'après ses sources (que je suppose fiables) que son roman sortirait bien en français courant juillet 2012. Donc voilà une bonne nouvelle. Par contre dans l'immédiat une inconnue reste : le titre français de ce livre. La bataille de Gildar Rift ? Sinon quelqu'un l'a lu en Anglais ? il est bien ? alunndra a écrit: La bataille de Gildar Rift ? "Rift" peut sa traduire par "crevasse, faille ou fissure". Je serai plus partant pour un titre du genre La Faille de Gildar, qui est un secteur stellaire. Je dirai pareil qu'Horus,ou alors le titre sera inchangé. Une bonne nouvelle dans tous les cas, c'est un auteur qui nous ne connaissons pas encore en France, ce sera là une bonne occasion de se faire une idée de son talent. Le titre est confirmé une seconde fois par la Black Library pour une sortie en français au mois de juillet prochain. Le temps est venu d’annoncer les titres des prochains mois. - La Faille de Gildar de Sarah Cawkwell : Ce nouveau roman Space Marine Battles, écrit par Sarah Cawkwell, voit les Space Marines du chapitre des Silver Skulls affronter Huron Cœur Noir et ses Red Corsairs dans l’immensité glacée de l’espace. Hier, sur le blog en anglais de la Black Library, Sarah Cawkwell c'est exprimée sur sa façon de travailler à propos des personnages qu'elle met en scène dans ses romans. An interesting question was put to me not so long ago, so I thought I’d take a few minutes out and answer it. Well, it’s a careful process that has involved much planning and coordination… I don’t think I’m actually going to fool anybody with that one, so here’s the way it is. I have Post-it Notes (virtual ones) all over my computer desktop and they make for a grim read. There’s about twenty of these specific ones, all displayed in a nice sort of peach shade so I can spot them amongst the others that include less interesting information like ‘kick the cat’ or ‘buy milk’. Some contain particular squads and their weapon loadouts. Some contain notes saying ‘These guys are currently here’. But mostly, they contain names. These are the names of the warriors in the Silver Skulls Chapter, from Lord Commander Argentius himself down to Ignatius, human Chapter serf who is one of the artisans who tattoos the honour markings onto the noble sons of Varsavia. The process of padding out a lesser-known Chapter is an interesting process and to a certain degree takes care of itself, but keeping track of the warriors within is something else again. Whilst writing The Gildar Rift, I kept very careful track of which warrior was where and at what point. I spent the entire process terrified that Brother Bob from Fourth Company might suddenly show up alive and well after having been speared through the head by a Red Corsair. Fortunately, crossing their names off the various Post-it Notes meant that this didn’t happen. I should note that it was much easier to keep track of who was dead in Valkia the Bloody. Much easier. Read it, you’ll find out why that is. So, the Silver Skulls. I haven’t yet named every warrior in every company, but if I’m not careful, it’ll start to get that way. But for now at least, having this register of the living and the dead easily accessible on my screen is the best way to remember who’s doing what and where they’re doing it. And more importantly, if they’re still able to do anything other than be a corpse. Of course, I do need to take care that I don’t suddenly introduce Brother Remember to Put Out the Bin. Keeping track of a Chapter is difficult work, but someone has to do it. La couverture donne très envie, et puis j'aime bien les RC, avec les bataille du Wolf of Fenris et de Badab. Ce livre se termine par une petite bibliographie de quelques lignes dont je n'ai retenu que " S.P. Cawkwell est un auteur freelance" . Je ne dirais qu'une chose: Madame Cawkwell pour un premier essai de roman bravo !!! Mais revenons à cet opus qui nous livre un combat entre les RED CORSAIRS d'Huron Sombrecoeur et les SILVER SKULLS de la 4eme compagnie du Capitaine Daerys Arrun. Huron et ses "joyeux compagnons pirates" ont une cible pour leur prochaine razzia: le système de Gildar protégé par le chapitre des Silver skull ou tout au moins par une partie de ce chapitre. Aucun temps mort. Les actions se succèdent dans l'espace et sur la planête Gildar Secondus. Un essai réussi pour cette nouvelle inspiratrice de combat épique et sanguinaire. Ne connaissant ni les "SILVERS SKULL" ni les "RED CORSAIRS" hormis de réputation, voilà un livre qui nous donne des informations interressantes sur ces 2 belligérants. Les "SILVERS SKULL" dont le nombre diminue de plus en plus au fil des combats et qui voit ses vétérans disparaître les uns après les autres. Pour faire court, il y a de très bonnes choses dans ce romans ne serait ce que sur les protagonistes de cette histoire à savoir (surtout…) les Silver Skulls et les Red Corsairs d’Huron sombrecoeur mais malheureusement , ça s’arrête là. Peu d'avis sur ce roman, c'est étonnant !!! Pour ma part, si je devais lui donner une note, ca serait pas plus de 10/20. Y'a certes de bonnes choses, comme le dit Zso Sahaal, y'a de l'intérêt au niveau fluff (les Silver Skulls, c'est pas les UltraMarines, on peut pas dire qu'on soit débordé d'infos)... Mais c'est tout. C'est un peu vide, mal écrit, sans but... et surtout bancal ! Quelqu'un sait pourquoi Huron a engagé autant ??? C'est un peu le syndrome Facebook qui achète une startup qui n'a encore rien prouvé pour 1 milliard... Le vrai nom d'Huron serait-il Mark Zuckerberg ? Un peu lent du début jusqu'a la moitié environ , c'est un bon livre en général , j'ai bien aimé que ce ne soit pas (encore) un livre sur les ultra mais sur un chapitre quasiment inconnu , la bataille spatiale est assez bien retranscrite je trouve'(pour ceux qui voudrait savoir comment le wolf of fenris a été capturé c'est aux pages 58-59 de l'ancien codex SMC ) ,j'ai bien aimé le stress qu'il y avait autour du projet Renaissance ,et le capitaine Arrun représente bien les caractéristiques des Silver Skuls. 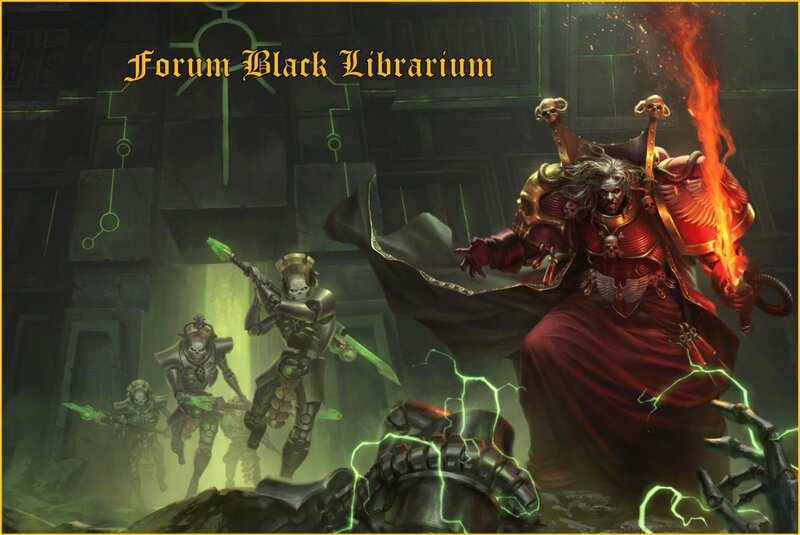 Avis intéressant mais ce serait bien si tu pouvais utiliser notre Système de notations et appréciations des romans de la Black Library sur le forum ... (en orange c'est un lien dynamique qui te permet d'aller sur autre sujet). Un peu lent du début jusqu'a la moitié environ , c'est un bon livre en général , j'ai bien aimé que ce ne soit pas (encore) un livre sur les ultra mais sur un chapitre quasiment inconnu , la bataille spatiale est assez bien retranscrite je trouve(pour ceux qui voudrait savoir comment le wolf of fenris a été capturé c'est aux pages 58-59 de l'ancien codex SMC ) ,j'ai bien aimé le stress qu'il y avait autour du projet Renaissance ,et le capitaine Arrun représente bien les caractéristiques des Silver Skuls. Pour faire suite au message du Grand Horus, les remarques expliquant tes notes seraient un plus (par un edit de ton message précédent ou pour ta prochaine lecture). J'en suis à la moitié environ et je le trouve plutôt bon pour le moment par rapport à certains autres tomes de "Batailles de l'Astartes" comme La chute de Damnos ou la Purge de Kadillus que j'avais trouvé plus lents et plus téléphoné. Effectivement le projet Renaissance apporte un petit plus, les Red Corsairs sont croustillants dans leur noirceur et les différentes étapes de la guerre sont plutôt bien rendues je trouve pour le moment. Bon roman, par contre huron y est décrit comme un malade mental qui a du mal à se maîtriser mais dans un autre roman avec honsou (ultramarine me semble) il est plus calme , il inspire toujours autant la crainte mais parait moins fou. Il y a aussi la description d'ADB dans le tome 2 de la trilogie NL, où Huron a vraiment un profil de vieux maître de chapitre rafistolé comme un vieux galion. Rien de nouveau, ni d'original. Des renégats qui attirent dans un piège des loyalistes... C'est pas trop mal planté mais la première partie du roman est longue. Mon exemplaire contient pas mal de fautes d'orthographe, d'oublis de lettres/mots... De la répétition à gogo, certaines pages/certains chapitres remplis avec du brodage, bref c'est parfois lourd. Le point fort du bouquin amha, on en apprend plus sur Huron et ses corsaires, sur les Silver Skulls, comment se gère un vaisseau Astartes, assez conséquent.